In this day and age most people are just happy to have a job. Often it just doesn't matter whether it's necessarily a job that they love or not. But there are still those who have jobs or careers that they really are satisfied or even excited to go to each day. For me I've been really blessed to be doing something that I absolutely love. It's still new enough, though, that it's a good thing I'm not having to pay the bills with the income... but I believe it's just a matter of time before that part works itself out. Today I went back to take more photos of Baby B from days ago. 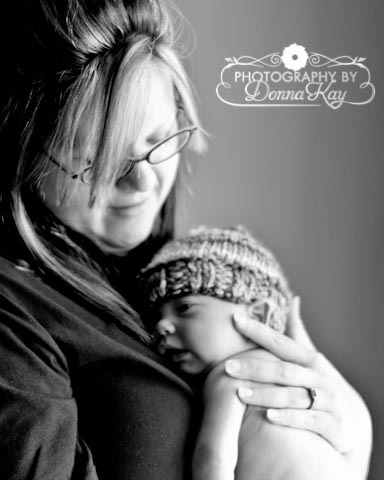 He's a sweet newborn baby, and he was just not in the greatest of moods the first time I went to do his photo shoot. Today he seemed much happier to see me, and even let me get him to sleep for some of his pictures. I know I've said it before, but I absolutely love what I do! Every time I'm doing a photo session I feel so happy and elated... and when I'm editing the photos later on, I think "this is my favorite...oh, wait, this is my favorite" over and over! And to make it even better, when the client is really happy with their photos it makes it the best it could be! 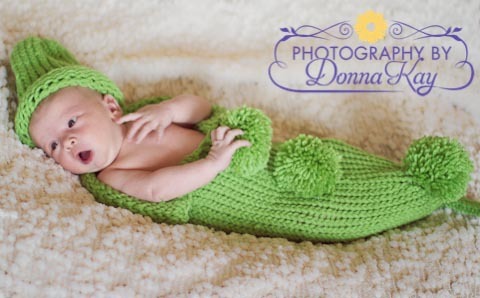 Here are a few of the photos from Baby B... and if you would like to see more pictures, please visit my Photography by DonnaKay facebook page at http://www.facebook.com/photographybydonnakay! I'd love to have you as a new fan! Baby B kept looking around today while he was awake... his Daddy was in the room and he could hear him talking, so he was searching for him. For me, my favorite photos are the simplest ones. I love the cocoons, hats, props... but the simplest photos, with the Mom holding her baby, and the love you can see in her face -- that is the priceless shot. Those are the pictures that make me feel like I need to always say "Thank you" for allowing me to share in that moment. Again, this is one of the simple shots... but so sweet. There is just nothing sweeter than a new baby!